I was really excited when they finally let me drive this car three years ago. I really like it! There´s nothing wrong with it, it feels unbearably 90´s and I really like the heated seats! This car also brought me the first time I ever read anything by RCR. I agree that its a sort of silver-haired, stock-investing,dad-joking middle ager, and to my grandfather this car was his overpriced convertible. But the rich person´s Miata? How so? I mean, its a low slung cabriolet with four cylinders and rear wheel drive, but its not a Miata, the interior is actually nice for once, the fuel economy is pathetic for a four cylinder engine, and the roof is electrical and also made out of metal. It´s a small car, yes, but it´s so heavy for it´s size it it might as well be the same density as a neuron star. I ain´t gonna lie, I´ve never driven a Miata, but if a Miata drives like this SLK, why would I want to drive it? 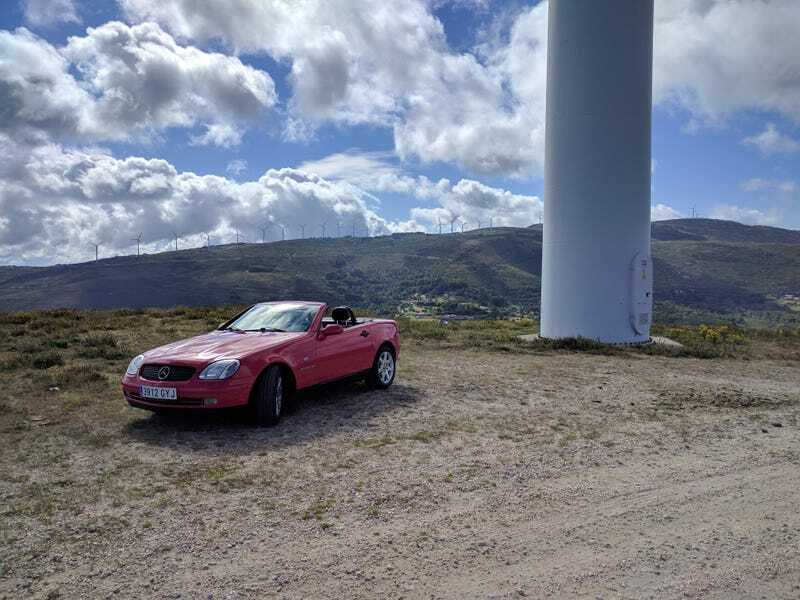 The SLK isn´t a sports car, its a highway cruiser, it understeers like crazy and the traction control goes nuts every time you think about accelerating. Turn the traction control off, and even then its imposible to induce oversteer, the car wants to grip to death out back, if you ever loose traction it´d be up front.